Rough Fields is primarily a field recordings artist. More often than not this would set everything off on a downward slide for me, as the majority of output from the genre is a complete waste of time. However there is more to this release than meets the eye when you scan over the press sheet. The majority of the subject matter evolves from recordings taken around the Wessenden Head reservoir in the Pennines, in 2013 around spring and winter; and this three track EP shows clever manipulation of the sound sources, with a steady evolution in range and pitch to formulate a tranquil ambience, with the addition of light instrumentation and programming. 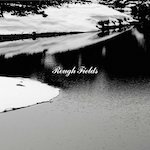 Rough Fields have produced a beautifully composed and serene painting in the minds eye; shifting aurally induced images of shade and depth that pull on natures home grown harmonics. As with a lot of gems out there, less is more; although I would have liked to see what the outcome would have been should this have been a full-length album. Creatively speaking I can imagine this would be more of a challenge given how this project works, although given this minute taster I am eager for more. This entry was posted in Bomb Shop, Dense Promotion. Bookmark the permalink.